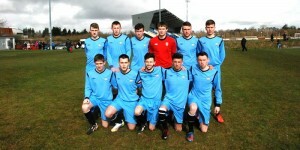 This week it has been confirmed a group from Colaiste Ide College of Further Education will travel to New York to play a series of friendly matches with irelands No.1 Soccer Team Tour operator. The trip, which is arranged by DB Sports Tours, will last from March 31 – April 5. Throughout the five day trip the group will engage with various beneficial activities, including playing a series of friendly games, going to the Georgian Court Campus, and sight seeing of the famous city. The first day will consist of initial travelling, but shopping too in the Jersey Gardens along with lunch in the large shopping centre. Nevertheless the first day will be short, as preparation for the games to follow will be a necessity. DB Sports Tours have a series of scouts from the many local universities in attendance, with the onus on focus increased for the friendly games. On the second day the group will be involved in a busy schedule; first going on a guided tour of the Georgian Court Campus and Sports Complex, followed by two matches, one at 10am and one at 1pm. A trip to The Jersey Shore Boardwalk will follow – home of the famous Jersey Shore. Following dinner another early night will follow, with the matches continuing on the third day. The third day will begin with another match, this time at the FelicianCollege in Rutherford, New Jersey. Following the game the group will get to travel to Hoboken, wherein there will be great photo opportunities of Staten Island and New York City itself. The group will travel into the heart of New York City in the evening for dinner, before heading back to New Jersey that night in preparation for another packed schedule to follow in the morning. The fourth day will be packed full of tournament games. After the games the group will depart for the Holiday Inn Woodbridge before a relaxing evening by the pool. On the fifth and final day the group will travel back to the city for a short tour, while also specifically visiting The Staten Island Memorial. The group’s memorable five days in The Big Apple will then finally end as they make their way to JFK airport to go back to Ireland. For more information on hoe the boys get on keep an eye on the blog here.